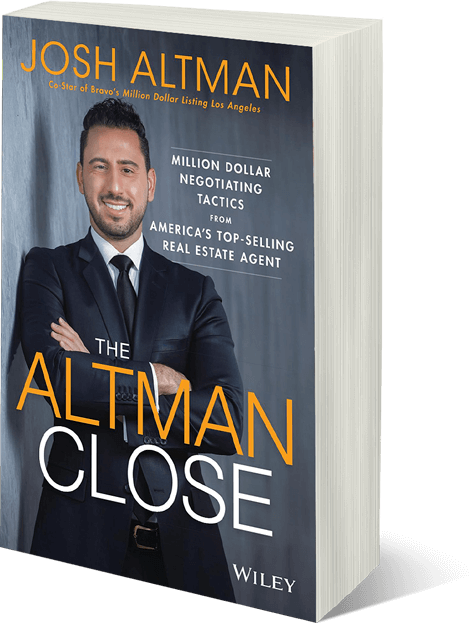 Los Angeles’ top luxury real estate agent, entrepreneur, reality star and mother, Heather Altman is the definition of a strong confident leading woman. Joining The Altman Brothers during their early launch, Heather played an integral role in establishing the team as both a globally and locally recognized business. Heather has acquired an exceptional and distinguished network of clientele, as her dynamic personality paired with a keen insight for market trends leave a lasting impact with individuals she encounters. With over 15 years of experience helping clients buy and sell luxury homes, Heather Altman brings to the table an unmatched understanding of one of the world’s most competitive real estate markets. Notoriously known for her expertise and charisma, she prides herself in having the utmost regard for her clients’ confidentiality and privacy. Heather has accumulated a prominent network of clientele including the Hollywood elite, high net worth individuals, and some of the wealthiest families of Los Angeles. By pairing her unrelenting work ethic and a keen insight for market trends, Heather ingeniously tailors her marketing strategies to best fit each individual client and secure top dollar. A proven expert within the niche communities that comprise Hollywood Hills, West Hollywood, Beverly Hills and Studio City and Sherman Oaks, she's received numerous accolades for her ability to deliver results. Just as importantly, she's made a lasting impression on each and every one of the clients she's represented, earning consistent repeat and referral business for her attention to detail and unwavering work ethic. Heather’s clients’ needs are effortlessly taken care of as many of the hottest designers, architects, investors, and builders are only a call away. From holding titles such as Top Producing agent at The Altman Brothers, star of Bravo’s Million Dollar Listing LA, design consultant, entertainment producer, lifestyle influencer, and brand investor, Heather Altman is setting a new tone for what it means to be a leader in the modern age. Running a business in today’s world is no simple task, however with her confidence, strong demeanor, and an expertise of the luxury market Heather Altman seamlessly thrives. Upon entering any room her gracious and professional demeanor can be felt in any room leaving a lasting and inspiring impact on all who she meets. Heather is devoted to serving the needs of real estate buyers and sellers in destinations including Sunset Strip, Beverly Hills, Hollywood Hills, West Hollywood & Bel Air. Whether you're looking for a home in the Wilshire Corridor or luxury real estate in Hollywood Hills, Heather looks forward to introducing you to the communities and lifestyle of some of Los Angeles' finest neighborhoods.